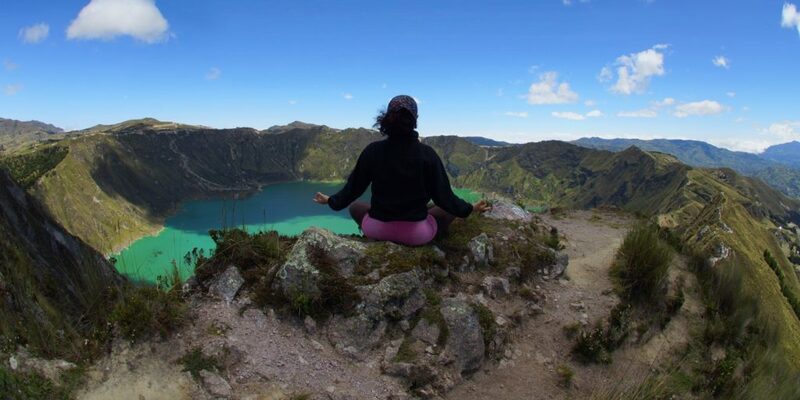 Nature’s First and Best Non-Slip Yoga Mat? 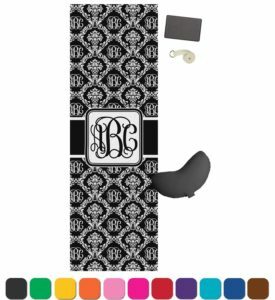 The Jade Harmony Professional yoga mat is the best non-slip yoga mat that offers a perfect balance of traction and cushioning. 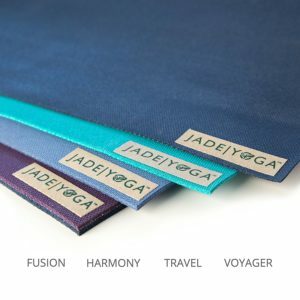 This Jade yoga mat is made with open-cell natural rubber, which has a reputation for terrific slip-resistance. 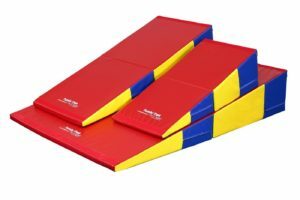 As a result, you no longer have to worry about slipping on your practice mat even if it gets wet with perspiration. Jade yoga mats also offer exceptional resilience, unmatched compression-set resistance, and incomparable cushioning, so you’ll stay comfortable with every pose. And because natural rubber is a renewable resource tapped from rubber trees, you can be assured you are making a green consumer choice. The company even plants a tree for every mat sold in partnership with Trees for the Future. Jade Yoga has a long history of quality natural rubber mats and began shipping the Harmony Professional in 2002. Jade Yoga grew out of Jade Industries, a company that had been making non-slip natural rubber rug pads for area rugs since the early 1970s. 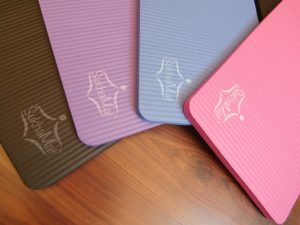 Most yoga companies at the time offered cheap yoga mats made from imitation plastic or PVC that were slippery and difficult to use, not to mention toxic for the environment. 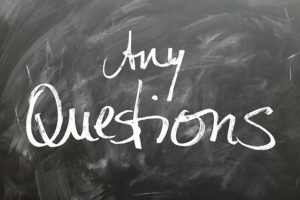 A savyy yogi approached the company to describe the problem with plastic and PVC mats, and Jade Yoga began. 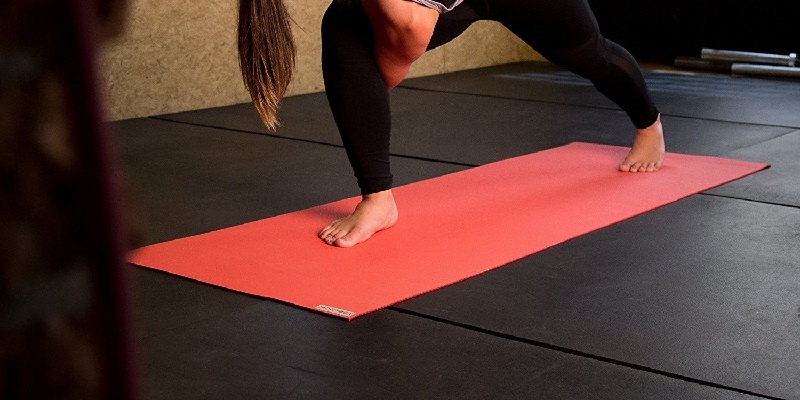 As Jade Industries were already making natural rubber rug pads, the company approached the problem from that angle and developed the Jade yoga mat, the first natural rubber yoga mat. The rest is history, and the Jade Harmony Professional is one of the top brands yoga mats available today. 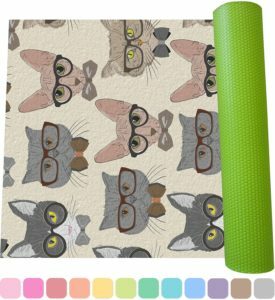 The Jade Harmony Professional yoga mat is an excellent natural rubber non-slip yoga mat. The open-cell design allows for quick moisture absorption while extra thickness increases stability. Jade mats are almost of the same quality as higher end Manduka mats. However, this Jade yoga mat is lighter, more porous, and lacks the dual surface feature of the BlackMat Pro. Jade yoga mats also come in a variety of attractive colors, unlike the Manduka Pro. 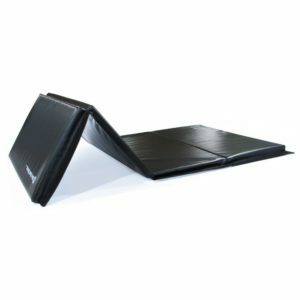 While the Harmony Professional is the top tier offering, thinner travel Jade Yoga mats are available. The performance of Jade Harmony is excellent, as the it provides stability and comfort with superb moisture absorption. Hot (Bikram) yoga practitioners will especially love these features. After a few years of moderate use, Jade yoga mats tend to start shedding little pieces of rubber. This does not affect performance, though. All in all, the Jade Harmony Professional is a top tier premium yoga mat. 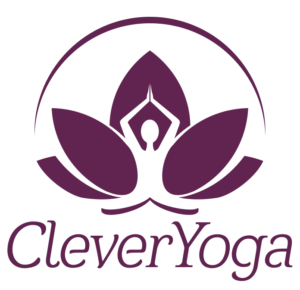 UPDATE FOR 2017: While the Jade Harmony Professional is an excellent product, we now recommend the newer Clever Yoga LiquidBalance as the best non-slip yoga mat. Read our review of the Clever Yoga LiquidBalance here.